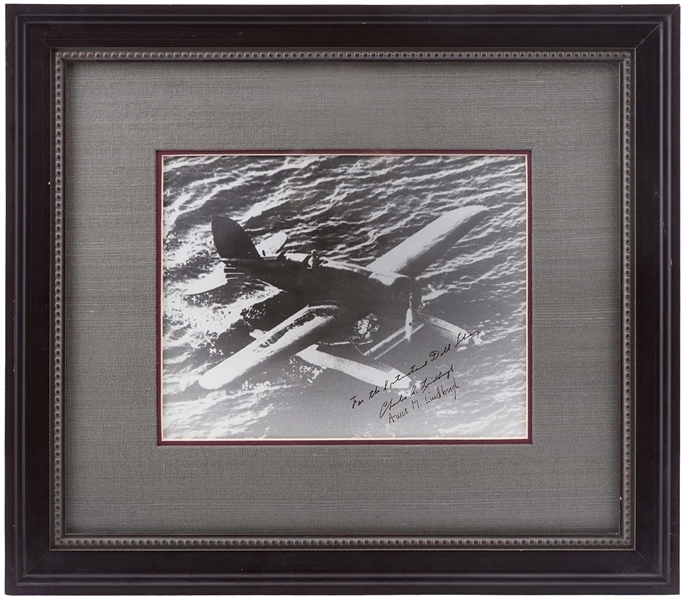 Framed and double matted (9"x11½", framed to 18½"x21") B&W photo of the Lockheed 'Sirius' airplane which Lindbergh and wife, Anne flew together to the Orient in 1931, signed & inscribed, 'For the International Doll Library, Charles A. Lindbergh & Anne M. 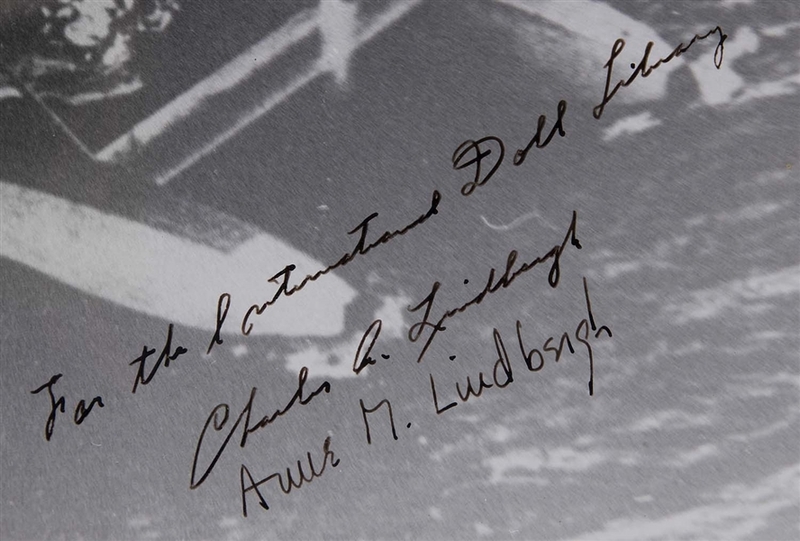 Lindbergh.' (Glass framed piece subject to additional shipping & crating charge, unless shipped without glass). Ex-Richard Stonely collection.